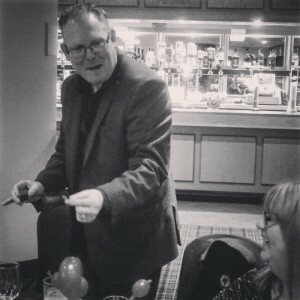 Magic & Mindreader / Mentalist based in the Midlands. Jay believes in using objects people can relate to. With a fun & friendly style, Jay's show is suitable for all audiences (Tailored for your event). Weddings, Private Parties, Corporate Events. Want to have a cabaret show for your next function? 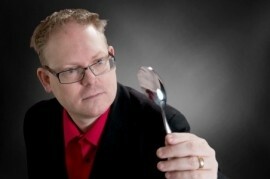 Then Jay Adkins MIND Magician Live is for you !!! This is a full cabaret magic show which combines mentalism & magic with comedy & fun. Available to travel overseas. Contact for competitive rates. These are words used to describe Jay Adkins as he leaves his audience mesmerised, engaged and amused with his naturally charming and entertaining style of Stage Mentalism, Close-Up Magic and delightful deception. Combining psychological mind-manipulation together with magic and comedy, Jay brings a fresh vitality to the genre of Mentalism. His inimitable style combined with memory feats that stun and amaze, Jay uses Psychology, Showmanship, Hypnosis, Suggestion, and Cold Reading to captivate and engage his audience. Those who have witnessed h ... is Close-Up Mind Reading have been astonished by the level of his magical expertise, unique trickery and range of professionalism. With over 20-years performance experience at his disposal, Jay continues to be a Guest Performer at many corporate events throughout the UK and overseas. His clients include; Arena Racing Company, DSG International, Hilton, Ramada & Mercure Hotel groups, Mitchell & Butler and the Chamber of Commerce Nifty Lift Limited and Milton Keynes Dons to name but a few. He also appears at Exhibitions, Trade Shows, Conferences, Conventions, Gala Dinners & major Charity Events. Jay’s TV credits include; ITV 1 "Britain's Got Talent", ITV 2 "Britain's Got More Talent", Channel 4 "Johnny Vegas - 18 Stone of Idiot" Channel 5 "Brainteaser", Fizz TV, RDF Television and Zodiak Media. In addition to his performing engagements, Jay plays an active role within The British Magic Society where he currently holds the seat of President. He also regularly supports Training Facilitators in the delivery of Learning & Development Workshops focusing on Presentation Skills and Audience Engagement. Personally endorsed by Lord Digby Jones whom described Jay as “Amazing and Brilliant” he continues to bring his skills to events and functions throughout the country leaving audiences bewildered and entertained with his unique repertoire of Mentalism and Magic. British Magical Society Jewel Holder - February 2013 "Medalist Of The British Magical Society"
April 2013 - Given the title of "Membership Secretary to the British Magical Society"
Channel 4 "Johnny Vegas - 18 Stone Of Idiot"